It’s illiterate (“Your boyfriend have in his possession” and “insight” where it means “incite”), it’s at once pompously officious and sloppily amateurish, and it’s written by someone who clearly has no grasp of basic details like when and when not to use capital letters (“London Hyde park” and “the Leaflets”). 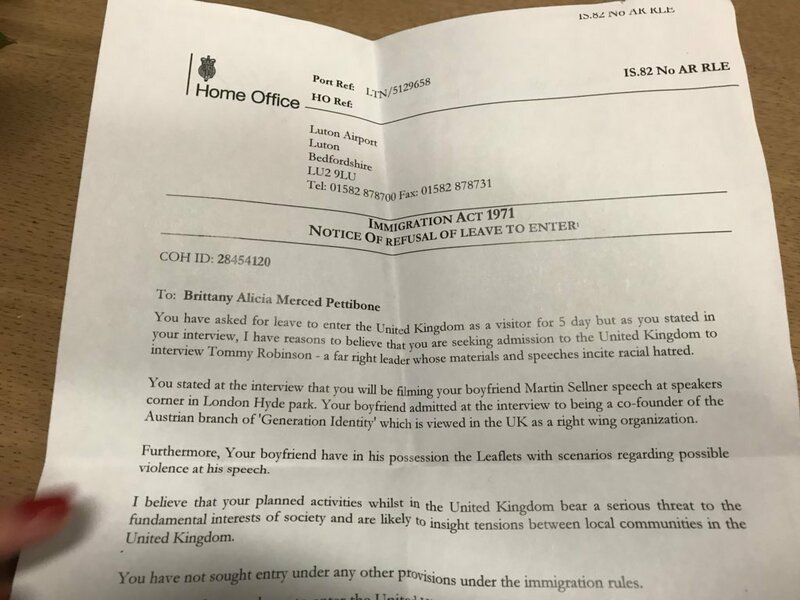 Yet on this barely educated jobsworth’s say-so, author and activist Brittany Pettibone has – with her boyfriend, Austrian Identarian Martin Sellner, and, subsequently, Canadian citizen journalist Lauren Southern – been declared persona non grata in the U.K.
Clearly, this jobsworth was only obeying the orders of someone well above his pay grade. Presumably, responsibility for this decision goes right to the top – at least as far as Home Secretary Amber Rudd. If so, Amber Rudd has some serious questions to answer. Which of these pose a bigger threat to the UK? Which of these should be denied entry to British territory? Two conservative journalists or two Islamic terrorists? 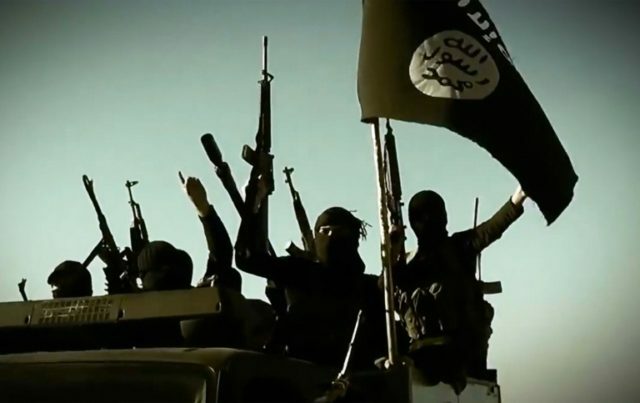 It’s apparently okay to let an estimated 425 ISIS terrorists back into the country after their jaunts to the killing zones of Iraq and Syria. And isn’t there something deeply sinister about that phrase claiming that Pettibone, Southern, and Co. “bear a serious threat to the fundamental interests of society”? Not so long ago, it used to be considered “fundamental” to the “interests of society” that Britain was a country which defended freedom of speech and freedom of conscience. That’s why, for example, we have this place mentioned in the letter called Speakers’ Corner, where anyone can go to have their say, however “right” or “wrong” their opinions. No more, apparently. Let history note that this happened on the watch of a Conservative government.